Donald Kalsched, Ph.D. is a Clinical Psychologist and Jungian Psychoanalyst in private practice in Albuquerque, New Mexico. 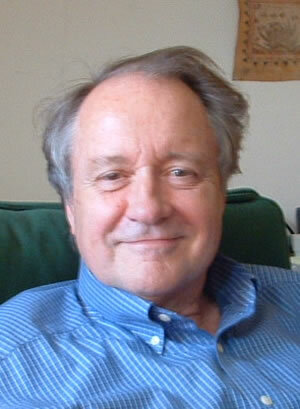 He is a senior training analyst with the Inter-Regional Society of Jungian Analysts where he teaches and supervises. His 1996 book The Inner World of Trauma: Archetypal Defences of the Personal Spirit has found a wide readership in both psychoanalytic and Jungian circles and has been translated into many languages. Dr. Kalsched teaches and lectures nationally and internationally, pursuing his inter-disciplinary interest in early trauma and dissociation theory and its mytho-poetic manifestations in the mythic and religious iconography of many cultures. His new book Trauma and the Soul: A Psycho-Spiritual Approach to Human Development and its Interruption , will be published in April, 2013. Mystical Dimensions of Trauma and Healing: At Pendle Hill, PA Plenary Talks. Plenary Talk: Opening the Closed Heart: Affect Focused Clinical Work with the Victims of Early Trauma. Pacifica Graduate Institute, Santa Barbara California.